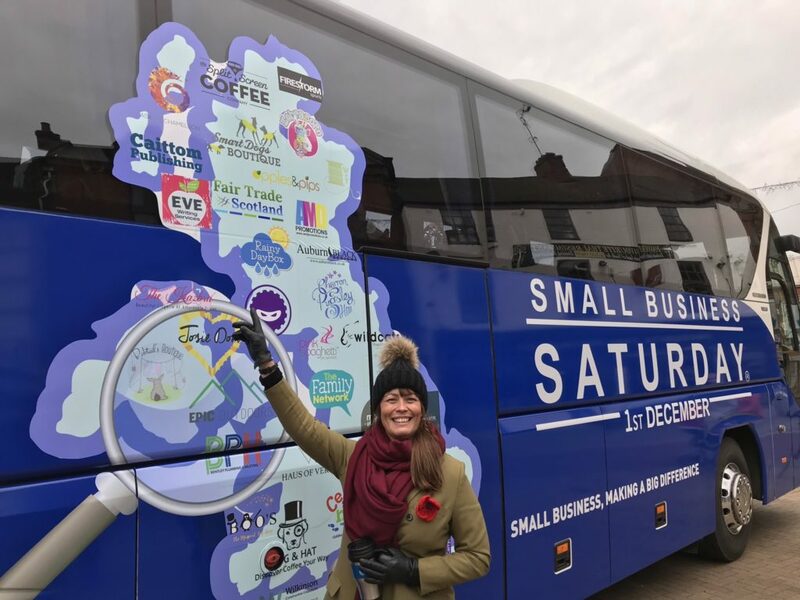 This month is all about #SmallBizSaturdayUK at Chameleon HQ…..
Friday 9 November – the Big Blue Bus rolls into Burton upon Trent as part of its tour around the UK, 10am to 2pm in the Market Place. Sunday 25 November – our #SmallBiz100 day. You will find me volunteering for Annabel’s Angels as part of our partnership with the Derby 10-mile run (click here for the run information). I am not running (no surprise there, if you know me well!) but on the stall, with jelly babies and lots of cheer to keep the runners motivated. I am a trustee of Annabel’s Angels, who are an AMAZING charity reliant solely on local donations to help give financial assistance to people undergoing cancer treatment at the Royal Derby Hospital (click here for more information). I will be recording my #SmallBiz100 podcasts that day too, and even some Facebook live, so do come and say hello.